Ever wonder what you would have looked like in the 50’s? 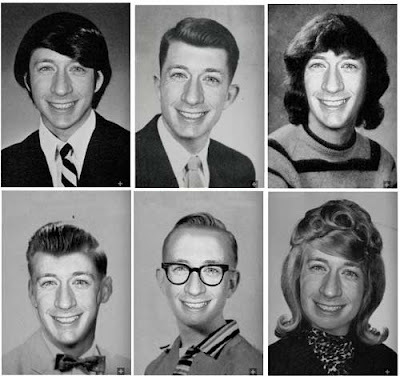 I hadn’t until I saw Yearbook Yourself. It’s a mildly fun way to waste ten minutes. You supply the photo and they put your face on photos dating back from the 50’s to 00’s. The results range from slightly realistic, to goofy, to an improvement, to disturbing.